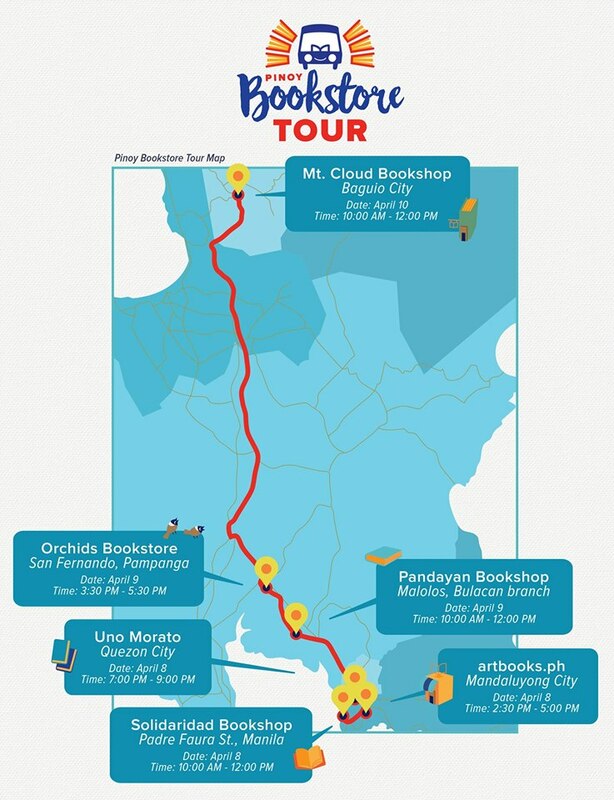 In celebration of Buwan ng Panitikan, writers, readers, students, and book lovers are invited to a bookstore tour that will highlight Filipino-owned bookstores within and north of Metro Manila on April 8-10, 2016. Readings, book talks, poetry performances, and book signings are some of the activities included in the Pinoy Bookstore Tour. Plus, participants will get to meet and greet their favorite Filipino authors in each of the bookstore stops. The tour will feature three (3) bookstores in Metro Manila on Day 1, two (2) bookstores in Central Luzon on Day 2, and one (1) bookstore in Baguio City on Day 3. Pinoy Bookstore Tour is free to everyone but make sure to arrange for food and lodging once we set foot in Baguio City on April 9. Also, you don’t have to worry about your transportation because NBDB will take care of it.